The Scheme establishes a co-ordinated network of local volunteers who provide informal help and support to residents within the community who need a little extra help with household tasks or short trips out. The scheme is coordinated using a dedicated mobile phone to arrange the volunteer help, which is held, in turn, by one of a small core group of volunteers for a specific “duty period”. A resident in need of support can call the mobile phone and speak to the duty co‐ordinator who will then contact a suitable volunteer within the Good Neighbour Scheme who is available and competent to carry out the required task. The purpose of a Good Neighbour Scheme is to help those generally in need, which may include older people, people with disabilities, single parents, or those temporarily in need through illness, injury or bereavement. A Good Neighbour Scheme gives volunteers a chance to help their neighbours enjoy a better quality of life by making sure that essential help and support is easily available to the whole community. What sort of help can the scheme provide? Who can use the Good Neighbour Scheme? Transport to appointments, shopping, visiting friends, school, hospital etc. (this is the only service for which a charge is recommend to compensate the driver for fuel, wear and tear). Emergency dog walking , for example, when the owner is ill or in hospital. Practical help such as shopping, and prescriptions, occasional cooking and meal delivery. Letter writing and form filling – but only non-legal forms. Gardening on an occasional basis, for example, if someone with limited mobility needs their garden ‘tidying up’ or short term maintenance when the owner is taken ill, etc. Help with e-mails or using the internet, but not help with online banking or other financial transactions. Minor household repairs such as changing a light bulb, fixing a dripping tap, unblocking a sink, checking a smoke alarm, moving furniture or hanging a picture. The only cost is for petrol, parking and materials. Please see the list overleaf for examples. All other services are free. Donation envelopes are available should anyone wish to contribute to the running costs of the Scheme. 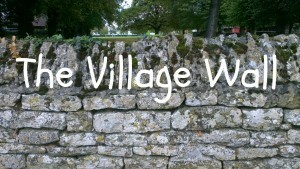 Everyone in the village or the Parish of North Luffenham. The service is open to anyone who doesn’t have someone around to help in times of need or who doesn’t have access to a car. All our volunteers have been checked by the Criminal Records Bureau and are fully insured. A volunteer will carry photographic ID that will be produced and the name of the individual will be given to you during the phone call with the volunteer coordinator. A coordinator will arrange for one of our registered volunteers to help. The coordinator will then phone you back to confirm who will be calling and at what time. The coordinator will be taking calls between 8am and 8pm each day. Be prepared to leave a message or use the form below to contact us. Charges are based on a return journey at £0.45 pence per mile. Scheme users are responsible for parking fees incurred.